These headphones are used. Because they are used, there may be several scratches throughout. The headband will be in good condition and have minimal wear. These headphones have been tested and are fully functional. Bose QuietComfort 35 Series II Headband Wireless Headset - Silver. Condition is New. Shipped with USPS Priority Mail. QuietComfort 35 wireless headphones II are engineered with renowned noise cancellation that makes quiet sound quieter and your music sound better. With the Google Assistant and Amazon Alexa built in, you have instant access to millions of songs, playlists, and more — hands free. Simply choose your voice assistant and ask away. And that’s just the beginning. QuietComfort 35 wireless headphones II are now enabled with Bose AR, a first-of-its-kind audio augmented reality platform. Trending at $172.00eBay determines this price through a machine learned model of the product's sale prices within the last 90 days. Bose Quiet Comfort 3 Noise Canceling Headphones With Accessories in very good condition . They sound wonderful a little wear on pads . Check out all my designer handbags clothing and accessories listed today . Always smoke and pet free . Item works great . Comes with all that is pictured: cord, case, battery, battery charger and airplane converter jack. BOSE QC35 II 2 QUIETCOMFORT NOISE CANCELLING HEADPHONES. Excellent Used Condition. This item is new in sealed box. 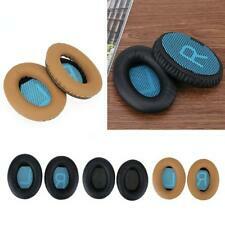 The ear pads have creases, body has scratches and minor stains. The headphone are working well with no known issues. 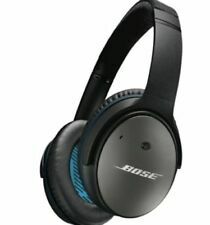 Bose QC25 Headphones - Apple Devices - Noise Cancelling - QuietComfort 25. Condition is New. 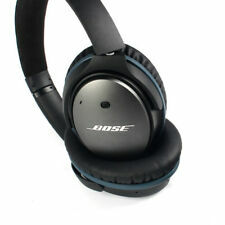 Bose Quiet Comfort Qc25 Acoustic Noise Cancelling Headphones Used. Condition is Used. Shipped with USPS Priority Mail. Our 2500 square foot showroom is clean, light, and safe?. 5 out of 5 stars - Bose Quiet Comfort Qc25 Acoustic Noise Cancelling Headphones used. 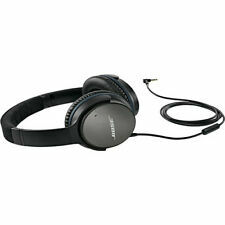 2 product ratings2 product ratings - Bose Quiet Comfort Qc25 Acoustic Noise Cancelling Headphones used. These Bose headphones are used but in good condition. There may be minimal scratches throughout. These headphones have been tested and are fully functional. BOSE Quiet Comfort 35 II. Condition is Used. 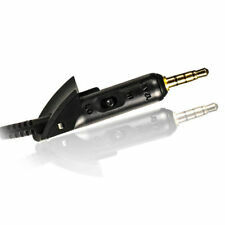 Bose QuietComfort 35 Series II Bluetooth Wireless Headset. 100% Authentic //QuietComfort 35 I wireless headphones - BlackGood condition. We will work with you to resolve any issues. Condition is Used. Battery powered (AAA). Note: these are the ones with wires, not with Bluetooth, but because of that, they are simpler to set up. Just plug it in, and go. You will love these headphones. Bose QuietComfort 35 Headband Wireless Headphones - Silver. Condition is Used. Shipped with USPS Priority Mail. Fully functional and sound awesome. Replaced earpads with black wicked brand earpads. Minor scuffs and scratches from previous use. Recently updated software via bose app. Comes with box original gray earpads which are still in descent shape. Usb cord for charging is also included. No hard case or other accessories included. Please look at pictures for condition. Feel free to contact me with any questions. Trending at $186.74eBay determines this price through a machine learned model of the product's sale prices within the last 90 days. 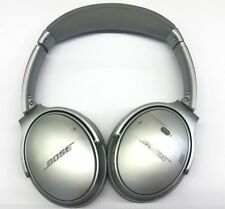 Bose QuietComfort 35 ii Wireless Headphones - Silver Google Assistant, it is used and comes with the original box, USB Cord, Headphones Carrying Box & Connection Wired to make them Wired instead of wireless. The headphones will be packed carefully to prevent damage during shipping. 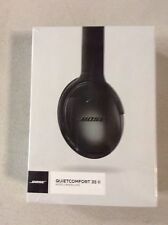 Bose QuietComfort 35 Noise Cancelling Wireless Headphones Series II - QC35 Black. New and sealed. Shipped with USPS Priority Mail. Trending at $298.00eBay determines this price through a machine learned model of the product's sale prices within the last 90 days. BESTBUY LIQUIDATION WEAR ON PADS AND SCRATCHES SEE PICTURES GEEK SQUAD CHECKED WORKS GREAT. INCLUDING A CHARGING CABLE. Bose QuietComfort 35 Series II Wireless Headset - Silver. Condition is new and factory sealed. Shipped with USPS Priority Mail. Latest QuietComfort® 20 Acoustic Noise Cancelling® model. 1x QuietComfort 20i. Impressive audio performance from exclusive Bose technologies. Advanced noise reduction rivaling any full-sized headphone. 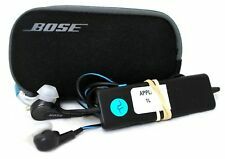 BOSE QC2 Quiet Comfort 2 Noise Cancelling Headphones with case Over Head Band. Condition is Used. Shipped with USPS Priority Mail. Order processing cut off The product described in the title and main product in images. What's included. (Unless stated new). We do not accept re-sale certificates . NC, NJ, NY, PA, TX, VA, and WA. CA, CO, DC, CT, FL, GA, ID, IL, IN, MA. QuietComfort 25 headphones. QuietComfort 25 headphones are engineered to sound better, be more comfortable and easier to take with you. Put them on, and suddenly everything changes. Your music is deep, powerful and balanced, and so quiet that every note sounds clearer. Headphones are in mint condition. Used maybe 3 times and selling because I never use them. Great headphones in great condition! Manufacturer/Markings: Bose. Condition: Unable to test, inside factory sealed box. (PD) -03-07=29 vo rs -- de. We apologize for any inconvenience. This is a used, donated item. This headset is in perfect working condition and includes original accessories and as well as manuals and box. Brand new, never opened Happy shopping! (1) These headphones are pre-owned, but are in excellent and working condition!